Crane Community Cemetery, located in the northeast part of the city, was established in 1917. There are more than 2,600 people buried there as of 1/1/2016. The management and maintenance was provided by the Crane Masonic Lodge No. 519 until the late 1990's. 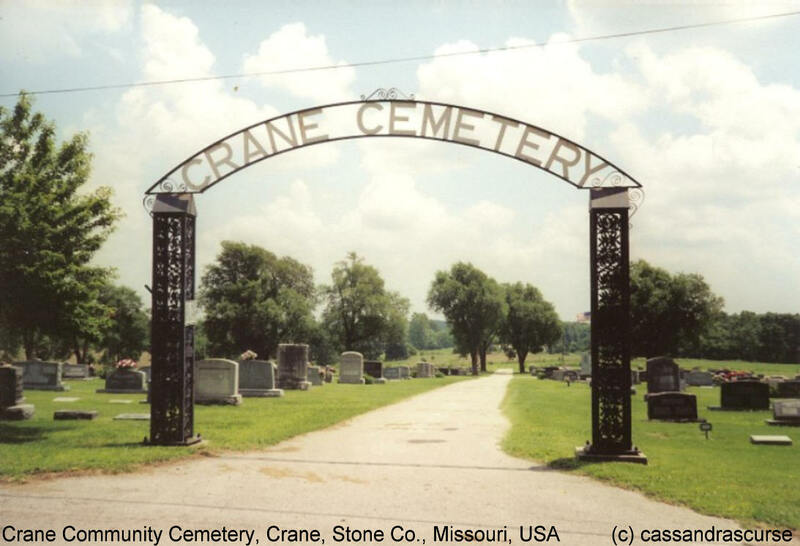 Crane Lodge merged with Galena Lodge #515 and the Cemetery became known Officially as Crane Community Cemetery and was re-organized as a non-endowed cemetery with 5 Board Members and officers.